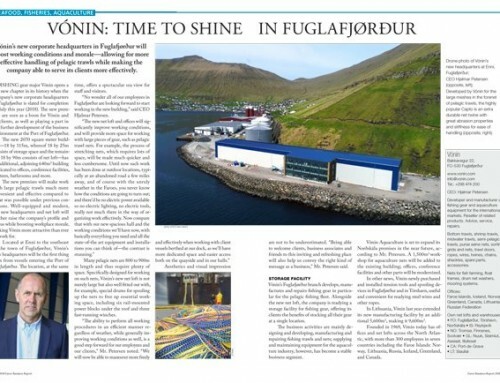 The Faroese fishing industry might want to borrow a page from its companion in the seafood trade, the aquaculture industry, whose success of late turns out to have a great deal to do with joint approaches to issues of shared interest. There are some peculiar similarities and differences between the commercial fishing and aquaculture industries. Mind you, both are diverse in and of themselves, not least in terms of fish species involved, whether hunted or farmed. That diversity is especially true of the fishing industry, whose historical roots, to a greater or smaller extent, is bound to have a certain significance and oftentimes cannot be disregarded in neither public policy nor business tradition. Even in a tiny country such as the Faroe Islands, there is a whole world of difference between, say, modern pelagic fisheries and small-scale coastal whitefish fisheries. There are a number of different fisheries, targeting different species, using different kind of vessels, different fishing gear, different technologies. Each of these is in its own right a sub-sector of the fishing business and all of this diversity invariably entails manifold approaches to fishing as a business, which in turn means there will not only be plenty of differences of opinion, which is only normal, but there will also be differences of interest in many cases. All of that continues to represent a major challenge in some respects, as the political environment—including the arena of public discourse—tends to treat fisheries policies and related subjects and issues as something dealing jointly with all sub-sectors of the fishing industry. 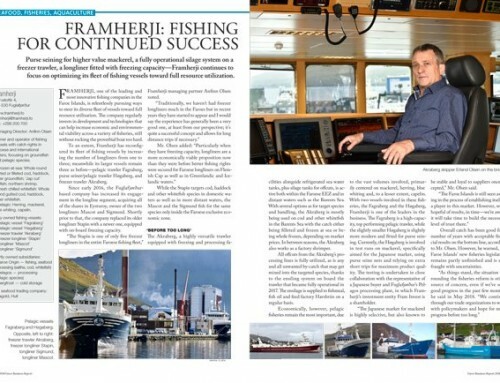 It’s an open secret that taking joint positions on external pressures coming from any direction, political or otherwise, has long represented a major challenge in the Faroe Islands, and everywhere else for that matter—and therefore exposed the fishing industry to potential exploitation by any forces looking for easy prey. Such forces indeed appear to be having a field day every now and then. 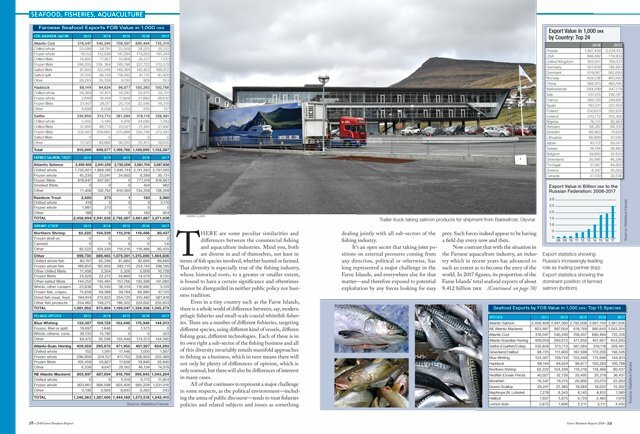 Now contrast that with the situation in the Faroese aquaculture industry, an industry which in recent years has advanced to such an extent as to become the envy of the world. In 2017 figures, its proportion of the Faroe Islands’ total seafood exports of about 8.412 billion dkk (1.128B eur) amounts to as much as 3.873B dkk (0.519B eur). 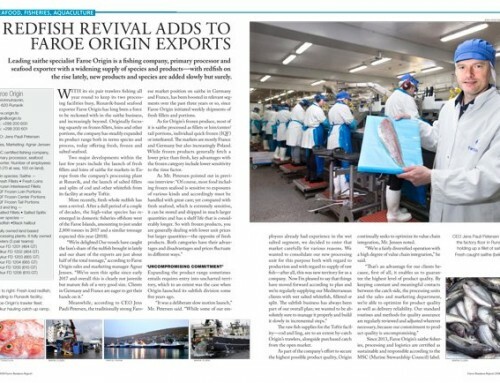 This makes farmed Atlantic salmon by far the most important species in the trade. In this context, the relative position of Atlantic salmon—largely the only species that is currently being farmed in the Faroes—has been dramatically strengthened in recent years. 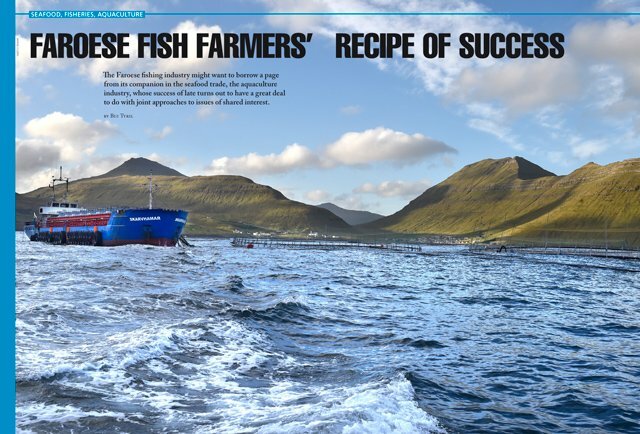 The Faroese fish farming industry has had its ups and downs over the last couple of decades, more than once faced with existential crises, typically triggered by the outbreak of some infectious disease. 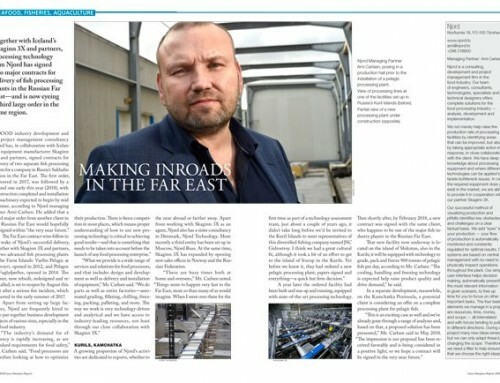 Back in the 1980s, in the early days of this industry, it would consist of twenty or so participants. Today, after rounds of industry consolidation, there are only three: Bakkafrost, HiddenFjord and Marine Harvest Faroes. 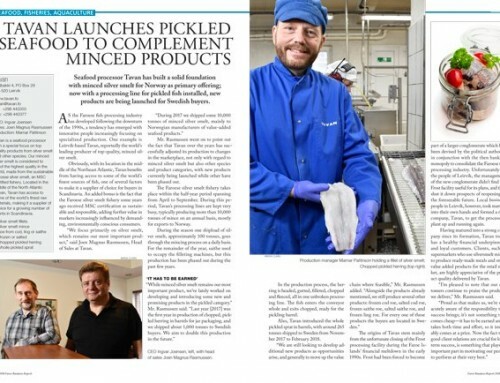 “One of the secrets of the success of the Faroese aquaculture industry is its exceptional degree of industry collaboration and coordination in a wide range of common, practical challenges and issues of shared interest,” said Rúni Dam, an experienced consultant who has worked with the industry for decades, primarily by conducting benchmarking surveys and offering related analyses. That level of consultation in the Faroese fish farming business appears to be unrivaled in the world. Arguably, the small size of the Faroe Islands combined with the low number of participants in the business are part of what has created an ideal situation for effective communication, both within the industry itself and externally. “They work together despite of competing in the trade, and having a single voice with clear, joint positions on various issues is an enormous advantage,” Mr. Dam said. In hindsight, that policy laid the basis for the hugely successful development that followed. Moreover, the legal and regulatory tightening revolutionized the industry, according to Mr. Dam.